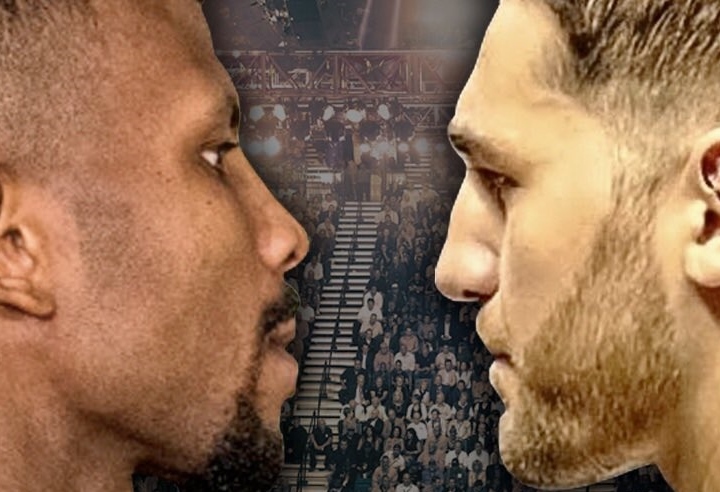 Nathan Cleverly insists his world title defence against Badou Jack on the undercard of Floyd Mayweather versus Conor McGregor will prove the "real, real fight" amid next week's "freak event". The Welshman makes the first defence of his WBA light-heavyweight title as chief support to Mayweather-McGregor at Las Vegas' T-Mobile Arena on August 26, but is the 3/1 outsider with Sky Bet. Jack - the 1/4 favourite - fights for the first time at 175lbs, having built his reputation at super-middleweight by defeating George Groves and in January entertainingly drawing with James DeGale. What is expected to be a physical and competitive match-up will likely provide a significant contrast to the one-sided affair expected between Mayweather and McGregor, when the Irishman boxes as a professional for the first time. Sergey Kovalev, Tony Bellew, Andrzej Fonfara and Juergen Braehmer are among those Cleverly has had punishing fights with before signing to fight Sweden's Jack, and within that he also believes McGregor does not deserve his big chance. "The chief support, you've got the real, real fight between myself and Jack," said Cleverly, 30. "Two genuine, world-class operators putting it on the line. This could be the real fight of the night, and I'm looking to capitalise on that. "(Mayweather-McGregor is) one of these once-in-a-blue-moon fantasy fights: it's captured the public's imagination. "It's massive: the magnitude and scale of this event. It's a great opportunity for us, that this fight is part of this show. "Mayweather deserves that pinnacle position in boxing; McGregor that pinnacle position in UFC. Does he deserve the opportunity in boxing? No, but can you blame him for making it happen? No you can't. "Fair play for the work they've put in in the gym and outside it as well, and making this a one-off, freak event." Confirmation of Cleverly's match-up with Jack had been expected soon after that of the main event but only came last week, little over a fortnight before they actually fight. Groves was similarly kept waiting by Mayweather Promotions in the build-up to his 2015 defeat by Jack, and the Mayweathers have a reputation for pursuing subtle advantages, but Cleverly insists if that was their plan it has had no effect. "It was quite possibly a ploy but it's expected in boxing, in all walks of life," said the Welshman, who also has no plans to speak to Groves or DeGale for advice. "Everyone's at it, so it's how you handle it. I handle those situations: it's just part and parcel of boxing and the business. "I was very optimistic the fight was going to get made and we'd cross the line and get it done. "In preparation, even though it wasn't official, I was always getting ready for August 26, so it made no difference to me. Either way, whether it was a ploy or not, we're trained up 100 percent, ready to do business, not messing around. We're going to Vegas to turn up, get the gloves on, get in that ring, do the business, and get home. "Maybe it would help (to speak to Groves or DeGale), but he is what he is, I know his style, I've seen enough of him. "Regardless of any advice, it's down to me, and I'm confident in myself." [QUOTE=Sparked_26;17956752]Are you getting some of that money, lad? It's bad form. [/QUOTE] Actually I am. I bet every fight. I'll play the parlay Davis, Jack, and Mayweather since you're curious. I feel Cleverly may be done now, he's been in a lot of wars, going years back. But yeah, it's easily the best fight on the card for me.